George Irving Bell was one of the clubs most well known, distinguished, and esteemed members. His untimely death was a shock to all. His club friends fondly remember his wonderful mountaineering and climbing adventures, and valued his patience with others and his ability to mentor and lead in a very relaxed manner, while instilling trust and confidence in all. In Brief: George died on May 28th, 2000, from leukemia complications following routine hernia surgery. George was born on August 4, 1926 in Evanston, Illinois of George I. Bell (Sr.) and Hazel Seerley Bell. The family shortly moved to Winnetka, Illinois, where he graduated from New Trier High School in 1944. He received a BS in Physics from Harvard University in 1947 and a PhD in Theoretical Physics from Cornell University in 1951, where he studied nuclear physics under Hans Bethe. 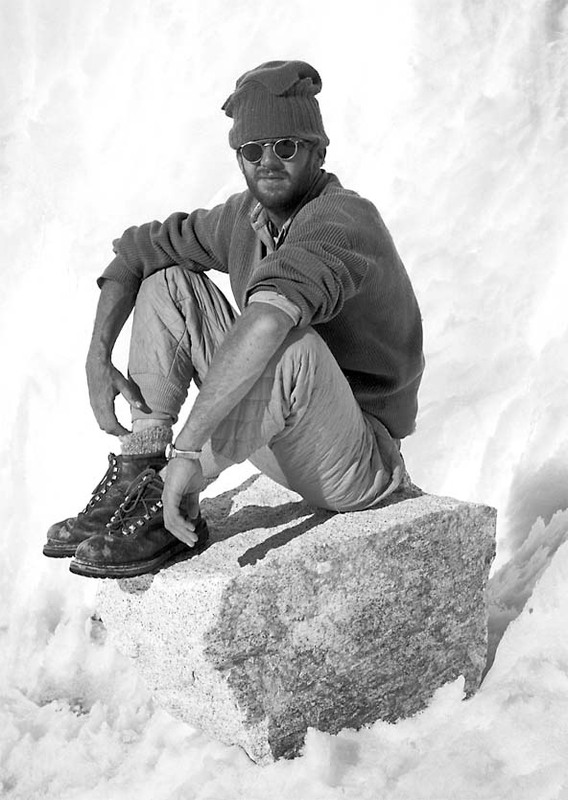 George was a family man, an avid mountaineer and outdoorsman, and a successful scientist and manager. Mountaineering and Climbing: George's first exposure to technical climbing came during a summer camp to the Tetons while in High School. In the 1940s he made first ascents of four peaks in the area around Mount Waddington in the Coast Range of British Columbia. During this period, he also climbed in the Tetons, the Wind River Range, and the Cascades. 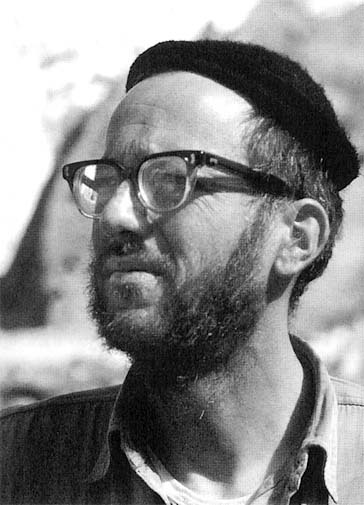 George became an avid and accomplished mountaineer and participated in some of the most notable American expeditions of the 1950s and 1960s. He went on 4 expeditions to the Peruvian Andes in the 50's, and was a member of teams that made the first ascent of Yerupaja in 1950 and of Salcantay in 1952, two of Peru's highest and most difficult peaks. In 1953, George attempted K2 (then unclimbed) with a well-knit team. They endured a horrific storm for a week at 25,000', and a terrible accident on the way down. He was one of five climbers who fell during their failed attempt. Their fall was arrested by Pete Schoening in one of the great feats of mountaineering. The entire team could easily have been lost, but miraculously all but one team member staggered into base camp. This was a pivotal event in the lives of the seven surviving team members, who became as close as brothers. George was carried out from base camp and eventually lost two toes to frostbite. 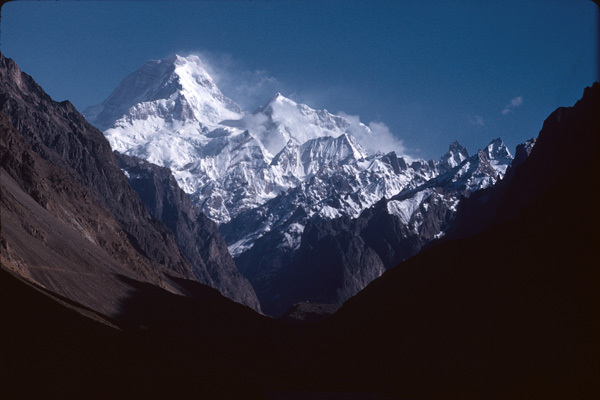 This climb is the subject of the classic mountaineering book: K2 The Savage Mountain. Despite this, his enthusiasm for climbing was undiminished. View seen by George of K2 from Hushe Valley in 1960. George went on several more Himalayan expeditions, culminating in the first ascent ofMasherbrum on July 6, 1960. George and Willi Unsoeld reached the summit of Masherbrum in their first try. At 25,660 feet, Masherbrum is the 22nd highest peak in the world. According to the Himalayan index, there have been only three subsequent ascents. The Los Alamos Mountaineers honor this historical climb and an esteemed member by featuring Masherbrum (as seen from the Hushe Valley near Kande) as our club logo. George and Ginny were early active members of the Mountaineers, having first meet at a club activity. George prepared an article on the Brazos for the Colorado Mountain Club's Trail and Timberline publication. The article, dated March 1972, is still the only published guide to the Brazos. George provided an excellent description of the cliffs and marked the routes known at that time, including the names and dates of the first ascent parties. The article includes pictures of the Main Cliffs, the Brazos Box area, and the Wedge. On October 12, 1969, the Mountaineers climbed Shiprock on the 30th anniversary of the first ascent. Ernie Anderson organized this climb and provided a summit register to leave on top. The climbing party consisted of George Bell, Will Siri, Eiichi Fukushima, and Mike Hart. Will Siri was a well-known Everest climber from Seattle, and a leader of the Sierra Club. David Brower, who had led the first ascent in 1939, was invited but could not come, so he sent Will Siri instead. Larry Campbell and Mike Williams took movies of the ascent, but Larry says that the film was damaged in processing. Eiichi believes that this was the last climb of Shiprock before the accident the next spring that led to its closure by the Navajos. Bob Cowan remembers that George Bell and John Marshall were among the Mountaineers Climbing School instructors in 1967 when he joined. Family: George married Virginia (Ginny) Lotz in 1956. In Ginny he found an enthusiastic life partner and together they enjoyed many outdoor adventures. They had two children: Carolyn (b. 1958) and George Jr. (b. 1960). Family backpacking and climbing trips were the norm. In their later years, George and Ginny enjoyed a dozen treks in the Himalayas, and another dozen to mountain ranges in the rest of the world. Even at age 73, he remained in remarkable physical shape, hiking 14 miles the weekend before his death. A brilliant but unassuming man, he was a great inspiration to his family, his many friends, colleagues and young aspiring mountaineers. George is survived by his wife, Ginny; his elder sister, Dr. Barbara Bell of the Harvard Smithsonian Center for Astrophysics; his daughter Carolyn Bell and grandchildren Kaitlin (b. 1987), Austin (b. 1990) and Derek Prince (b. 1993) of Los Alamos, New Mexico; his son George Irving Bell, Jr., wife Esther Brady and grandchildren Allison (b. 1996) and Henry Bell (b. 1999) of Boulder, Colorado. Career: George moved to New Mexico in 1951, where he was a driving force in the Theoretical Physics Division of the Los Alamos National Laboratory (LANL) for almost 50 years. In the early part of his career, he worked on reactor physics and safety, co-authoring the then definitive text on the subject and winning a distinguished award from the American Nuclear Society.